These are tough times. Money is tight, the American Dollar continues to lose value and our Military fights in foreign lands without even knowing what kind of plan the White House has in store for them. It is not easy to have faith or feel grateful these days, but we must always remember: we have each other, and together we can accomplish anything. The first Thanksgiving is said to have taken place in 1621 between the Plymouth Pilgrims and the Wampanoag tribe, who had helped them to fish, hunt and plant. Although George Washington proclaimed a day of thanks around the time of the War for Independence, it was not until 1863 that Thanksgiving became an official tradition under the Lincoln presidency and only in 1941 under Franklin Delano Roosevelt did it become designated as a national holiday taking place on the 4th Thursday of November. Be that as it may, celebration of and gratitude for harvest is not a new concept; historians trace harvest observances back thousands of years, and across many cultures. And, while it is sometimes difficult to find things for which to be grateful in these trying times, the tradition brings us back to center, at least for a day. As we gather with friends and family to celebrate and give thanks for what we have, we are reminded that an attitude of gratitude is something that improves life not just on the day set aside for it, but over the other 364 days of the year. For, no matter how bad things may seem, there are always things for which to be grateful: friends who are like family, family that is like friends, and whatever food, shelter, water and air we have; the courage and commitment of our troops, so many of whom now fight on foreign soil; and for the Patriots who watch over our Constitution and its Republic in whatever capacity they are able. Wishing Blessings to All this 4th Thursday of November, 2009, and with special thanks and admiration for all who attended and worked Continental Congress 2009 in St. Charles, Illinois. A more dedicated, tireless group of Patriots never existed, then or now. As the final days of Continental Congress 2009 draw to a close, delegates continue to work late into the night and early morning in their attempt to complete the job they came here to do. Resolutions and reports are being submitted and final votes will be taken today and tomorrow before evening closing ceremonies. The past 10 days have brought delegates from 49 states together to live, work, read, debate and vote on resolutions, instructions and civic action suggestions. Everyone who has donated their time here deserves our thanks and respect for being willing to commit so much time to the life of our Constitution and our Country. American Forces Press Service WASHINGTON, Nov. 20, 2009 – Retired Army Col. Lewis L. Millett, who earned the Medal of Honor during the Korean War for leading what reportedly was the last major American bayonet charge, died Nov 14. Millett, 88, died in Loma Linda, Calif., after serving for more than 15 years as the honorary colonel of the 27th Infantry Regiment Association. In the 1960s, he ran the 101st Airborne Division Recondo School for reconnaissance and commando training at Fort Campbell, Ky. He then served in a number of special operations advisory assignments in Southeast Asia during the Vietnam War. He founded the Royal Thai Army Ranger School with help of the 46th Special Forces Company. This unit reportedly is the only one in the U.S. Army to simultaneously be designated as both Ranger and Special Forces. Millet retired from the Army in 1973. Millet was born in Maine and first enlisted in 1940 in the Army Air Corps and served as a gunner. Soon after, when it appeared that the United States would not enter World War II, he left and joined the Canadian army. In 1942, while Millet was serving in London, the United States entered the war. Millet turned himself in to the U.S. Embassy there and eventually was assigned to the 1st Armored Division. As an antitank gunner in Tunisia, Millet earned the Silver Star after he jumped into a burning halftrack filled with ammunition, drove it away from allied soldiers and jumped to safety just before the vehicle exploded. He later shot down a German fighter plane with a vehicle-mounted machine gun. As a sergeant serving in Italy during the war, his desertion to join the Canadian forces caught up to him. He was court-martialed, fined $52 and denied leave. A few weeks later, he was awarded a battlefield commission. After the war, he joined the 103rd Infantry of the Maine National Guard, and he attended college until he was called back to active duty in 1949. In addition to the Medal of Honor, Millett earned the Distinguished Service Cross, the Silver Star, two Legions of Merit and four Purple Hearts during his 35-year military career. 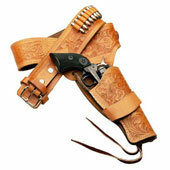 After his retirement, he remained active in both national and local veterans groups from his Idyllwild, Calif., home. His son, Army Staff Sgt John Morton Millett, was a member of the 101st Airborne Division returning from duty in the Sinai on Dec. 12, 1985, when a charter plane crashed upon takeoff after stopping at Gander, Newfoundland. He was one of 256 soldiers killed in the crash. In June 2000, Millet returned to Seoul, South Korea, and served as keynote speaker at the Army’s 225th Birthday Ball at the Grand Hyatt Hotel. All eight of the then-living Korean War Medal of Honor recipients attended the event. This year, Millet served as the grand marshal of a Salute to Veterans parade April 21 in Riverside, Calif. He died Nov. 14 at the Veterans Affairs Medical Center in Loma Linda, of congestive heart failure. A memorial service for Millet is scheduled for 10 a.m. Dec. 5 at the National Medal of Honor Memorial at Riverside National Cemetery in California. Rest In Peace, Brave Soldier. As delegates from 49 states continue to debate, vote on resolutions to document violations of our Constitution and make recommendations to representatives in Washington, the drama of Constitutional rights plays out in cities, towns and neighborhoods across our country. It is well established that the maintenance and restoration of our Republic and its myriad communities must derive from our 10th Amendment enumerated powers, which states that all powers not specifically designated to the Federal government reside with the States and the People. Thus the crucial importance of Community. One such poignant example is La Alma Rec Center in Westside Denver near Lincoln Park. 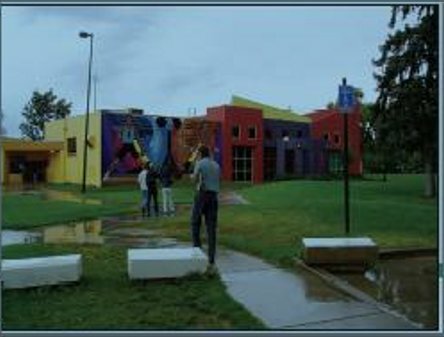 The Alma Rec Center, located in Lincoln Park, not far across from Speer Boulevard from Downtown Denver, sits on the sight of the oldest Chicano neighborhood predating Denver as a city. The neighborhood had much of its vitality cut out when the state chose it as the site for construction of the Auraria Higher Education Center. But the Westside did not die. 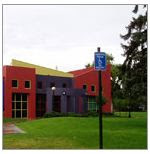 Now, Denver’s Mayor John W. Hickenlooper has submitted his 2010 budget with all manner of budget cuts and reorganization, but his plans for La Alma Rec Center amount to shutting it down, and possibly privatizing it to the Boys Club, or some other entity with political ties to Denver’s good-old-boy club. Rather than finding sufficient money to keep La Alma open, Hickenlooper is attempting “to transition four recreation centers that serve few residents (including Globeville and La Alma recreation centers) to organizations who can offer more valued services to the community.” Once that step is taken, it’s unlikely it will ever be reversed. The community rec center will become a business where the bottom line, not community service, will prevail. This is more than a Chicano issue, as it will detrimentally affect all age groups, nationalities, income levels, though of course, those least able to afford a privatized service, will be denied the most. Please forward this to anyone you know who has their roots, hearts or at least minds in helping to prevent the loss of a center that has served to make life more livable and meaningful since before the founding of Denver. Since that time, Sgt. Dean J. Sanchez, USMC, who was raised in the community and for whom the Center has played an important part, spent fourcombat tours in Iraq and Afghanistan working toward building up communities in those countries only to learn upon his homecoming in September that due to the economy and poor governance, he is losing HIS community. We have learned that Denver is currently building two new rec centers even though they are closing four others in poor neighborhoods, claiming budget deficits. Yesterday’s CC09 presentation by Michael Shaw on Property discussed some of the issues inherent as non governmental organizations’ partnering with government is on the rise, allowing government to abandon its responsibility to community and taxpayer and to limit constitutional rights to property. More than 100 passionate west-siders begged Denver city officials tonight not to mess with a recreation center that’s considered the heart of the community. Young and old, some angry and some fighting back tears, showed up for a meeting to discuss ways to try to preserve the La Alma Recreation Center just southwest of downtown at 1325 W. 11th Ave. Faced with a $120 million deficit, the city is considering privatizing part of La Alma, while having the parks department oversee and improve the pool. He and others fear that letting a nonprofit operate La Alma would change its character and could be the first step in its closure. Nearly everyone raised their hand. Rich, it turned out, is the janitor at La Alma. The mention of one of Denver’s more toney rec centers brought cheers from the crowd assembled at the Denver Inner City Parish near La Alma. The neighborhood feels pummeled by the city, not only because of the rec center issue but also a proposal to close Byers Library on Santa Fe Drive because of lack of use. Denver City Councilwoman Judy Montero, who represents the district, praised residents for banding together to fight the city. True to the American spirit, as delegates gather in St. Chales, Illinois, West Denver neighborhood members are gathering and working to save their Community. They are asking everyone to join with them to show political leaders that they are disgusted with the way government gives preferred treatment to big business and overseas communities, [e.g., Iraq and Afghanistan] at the sacrifice of American communities and constituents. For instance, Denver’s Mayor Hickenlooper brought the 2008 DNC Convention to Denver at an approximate taxpayer expense of 53 Million Dollars, resulting in a 160 million dollar budget gap in 2009 which he expects to close by shutting down community centers, libraries and forcing city employees to take unpaid furloughs to offset the loss. For further information on how to help and meeting times and locations, email statesidedenver@gmail.com. Continental Congress 2009 is in full swing now, with all day live streaming webcast at http://www.givemeliberty.org/CC2009/default.htm. In Joliet, Illinois, Pvt. Michael Pearson, one of the 13 killed in the November 5th terrorist attack at Ft. Hood, was laid to rest by thousands of heartbroken Americans. Family, friends, townspeople and even complete strangers like myself turned out to pay their respects at the cortege of his return, Friday’s wake and Saturday’s funeral. In Crystal Lake, another, happier parade took place, this time for Sgt. Dean J. Sanchez, who returned from his 4th Middle East deployment in September. This is America and her People. In the course of activism, I continue to meet so many wonderful Americans who love their country, care about their constitution and yes, love one another for their similarities as well as their differences. Those dedicated to Continental Congress 2009 are hard at work again this morning, in the hope of reaching accord on resolutions to make our Union a better place, just as they did in 1774 and 1776. Yesterday, as we walked the streets of Chicago, we crossed four bronze insets marking the former site of Ft. Dearborn, the site of another massacre in which 86 people, many women and children, were killed in 1812, built on the banks of the Chicago River in 1803. It was evacuated and eventually burned to the ground in 1857. The sight of those 4 bronze inlays at the corners of Wacker and Michigan reminded me that, despite the impermanance of the material world, the spirit of America lives on and will NOT be extinguished by a few hard times. Blessings to all Americans on this day. To those in grief and those in joy, and to all those who strive to make America a better place. The word is Resiliance, folks. Remember it. Keep it. And Love your country, your Constitution and its People. Thank you, Pvt. Pearson, Sgt. Sanchez, and all who make this country a better place. See you tonight at The Dame Truth for live, onsite report: Continental Congress 2009! Well, The Dame has landed and is back to research and reporting on Continental Congress 2009. An auspicious number by any stretch, Friday the 13th brings us into the second full day of programming here in St. Charles. end violations of the Constitution? Get involved! Watch the webcasts, support the delegates and share with friends, family and anyone else who will listen! Join The Dame Saturday night at the regular time–11 PM EST–on PHN!